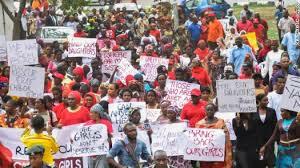 What is more shocking for me right now in this country is that many educated Nigerian are still of the opinion that the missing Chibok girls is a scam to make president Jonathan look bad. Allegedly, this assumption feeds off of the president’s lukewarm approach on this matter. However, it took the intervention of the girl child rights activist Malala Yousafzai to get the Nigerian president Goodluck Jonathan to commit to meeting with the parents of the missing girls, hopefully he keeps “this promise”. From the long silence to the cancellation of visit to chibok community; showing a lack of empathy to the alleged order to arrest unarmed protesters in Abuja by the non-elected wife of the president. Every strategy adopted by this administration on this issue is highly insensitive and unhealthy for a growing democracy. As it reinforces to the people that they whom democracy supposedly should benefit are irrelevant and government do not care about the things that affects the people. This actions or inaction makes Nigerians lose confidence daily in their government. What such attitude emphasizes is, in Nigeria, human life is not valuable, particularly, the lives of poor and vulnerable citizens, whose government should protect. We all know that these horrendous crimes against vulnerable citizens cannot penetrate the 1% environs of the elites, yet daily, the average Nigerian lives in fear for safety. The president has since declared war on terrorism in Nigeria, promising to bring the girls home. But I think it’s wise that in this very sensitive period gripped with fear and distrust among Nigerians, the president shows empathy and concern by keeping Nigerians abreast of facts and every so often engage the affected communities, so they can learn to embrace him. Rather than the ongoing method of seeing anyone who is passionate about this issue as an enemy to the administration. We voted for Jonathan we wanted him to succeed; not at all cost, but we also want our democracy to continue to grow; we have a right to protest, I want to be able to disagree with actions or inaction of our government, after all, it is a democracy. As such, we should be able to stand up and stop concealing facts in an attempt to garnish the president’s image in preparation for the general upcoming election. Nigeria as a country is bigger than the niger-delta, bigger than boko haram and the president himself. We are already divided by ethnicity and religion among other things, therefore, every Muslim, Christian, idol-worshipers, atheist and all non-northerners must stand up in unity, not just on this issue, but, against child-marriage, against rights of every citizen including the rights of gay-Nigerians, rights of children to a decent life, rights of women in our society. Freedom is freedom and what is wrong is wrong, and we must continue to say it. 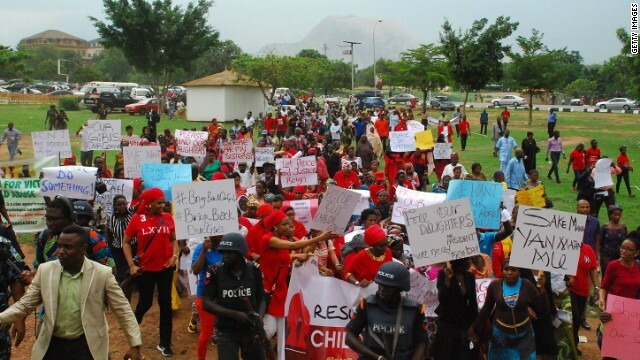 Even if the #BringBackOurGirls campaign turned out to be a huge scam, the idea of it is deserving of sympathy. A special gratitude to the former education minister Oby Ezekwesili, for her passion and commitment against all odds on this issue. Also, to the international community, Nigerians are overwhelmed by your concerns, thank you. We must continue to keep the attention on this issue until the girls are back home. This entry was posted in Africa, Development, Politics, Poverty and tagged #Africa, #BringBackOurGirls, #ChildMarriage, #HumanRights, #Malala, #PresidentJonathan, democracy, Nigeria. Bookmark the permalink.